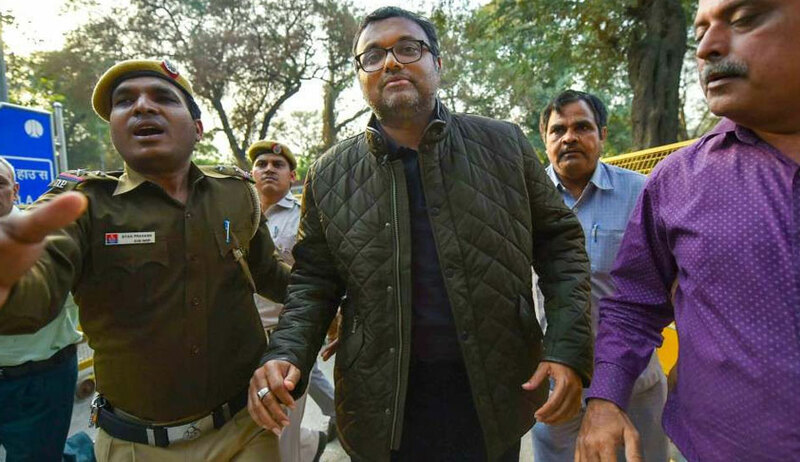 The Supreme Court on Friday refused to interfere with the Delhi High Court order granting bail to Mr. Karti Chidambaram in the INX Media case. Mr. Chidambaram is accused of receiving kickbacks amounting to 3.5 crore from a private company, the INX media, in exchange for allowing them to break foreign investment. As per the allegations levelled by the CBI, INX Media had got an approval of receiving Rs. 4.62 crore investment from the Foreign Investment Promotion Board (FIPB). The Company, however, received Rs. 305 crore from two companies based in Mauritius, with the companies paying a premium of Rs. 800 per share. The CBI has alleged that the officials investigating the misappropriation were hushed up through “influence in the finance ministry” while his father, P. Chidambaram, was the Finance Minister. Mr. Chidambaram was arrested from the Chennai Airport on February 28, and was produced before the Duty Magistrate, Patiala House Court, who committed him to police custody till March 1. The remand was extended and remained in force till March 12, after which he was sent to judicial custody. The Delhi High Court had however granted him bail on 23 March this year, holding that there was no possibility of him fleeing from justice as he has roots in the society, his parents are senior lawyers and he has a family to take care of. The Court had further noted that the CBI had not recovered any incriminating material from his possession during his police custody from February 28 to March 12. It had further submitted that the High Court had erroneously conducted a detailed examination of the evidence on merits while granting bail, “seriously prejudicing” its case, while also recording “erroneous findings” on the statements of witnesses. Besides, it had asserted that the High Court had not treated the case with the level of severity which economic offences need to be treated with, and had also failed to clarify that its observations should not affect the proceedings pending before any other Court of law.